Current senator: The current senator for the 6th District is Sen. Erika Geiss (D-Taylor). 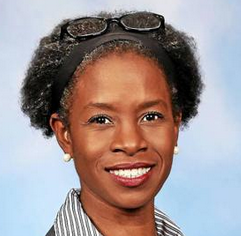 She represents the communities of Belleville, Brownstown Township, Flat Rock, Huron Township, Rockwood, Romulus, Sumpter Township, Taylor, Van Buren Township and Westland. She previously served in the Michigan House and was a small-business owner, operating a home-based editing business that she started 2001. Her husband, Doug Geiss, previously served in the House. Sen. Geiss was first elected to the Senate in 2018, taking office in 2019. A map of the 6th District is available here. Sen. Geiss launched a candidate committee to run for the state Senate, Friends of Erika Geiss, in September 2017. She previously raised money through a state House candidate committee, Erika Geiss For State Representative Committee.